You’ve got to taste this Slow Cooker Peach Cobbler Recipe! A treat you can cook all day while you’re working, then enjoy with a scoop of ice cream in the evening. 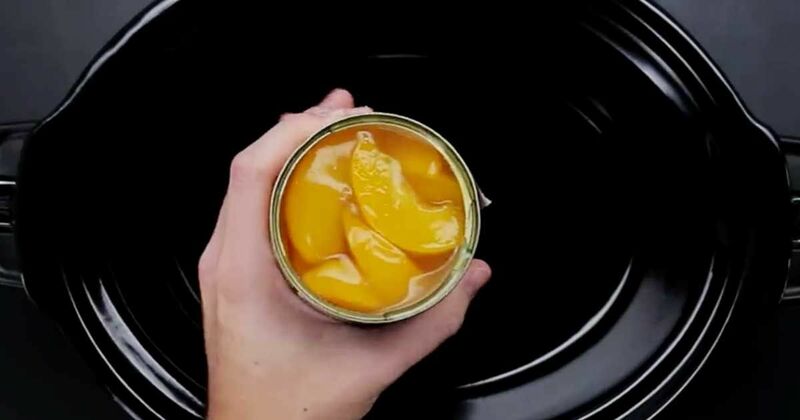 Put peach pie filling in slow cooker. Then top with cake mix, butter, and walnuts. Cook on high for 2-2.5 hours or until the cake part reaches desired consistency. Serve and top with ice cream.